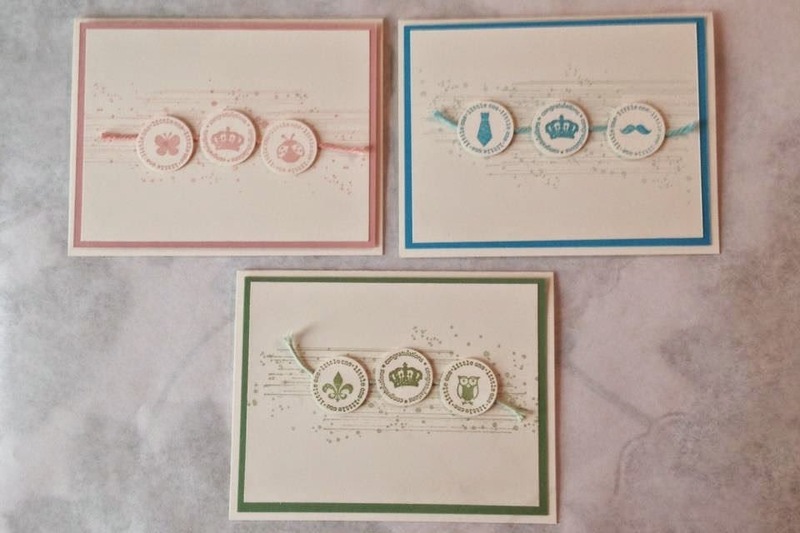 A Fitting Occasion stamp set is a pretty fun set! 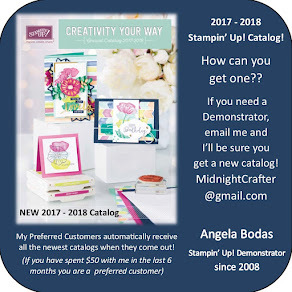 Its good for many uses, from baby to birthday, and will work hard for you in card making, memory keeping, and gift cards and tags. 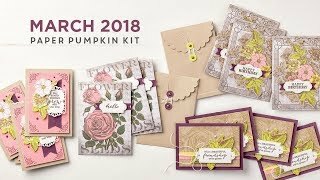 I made a set of baby cards. These are Congratulations cards for the most part. I like the different rings of words and the big selection of center images! Fun!! 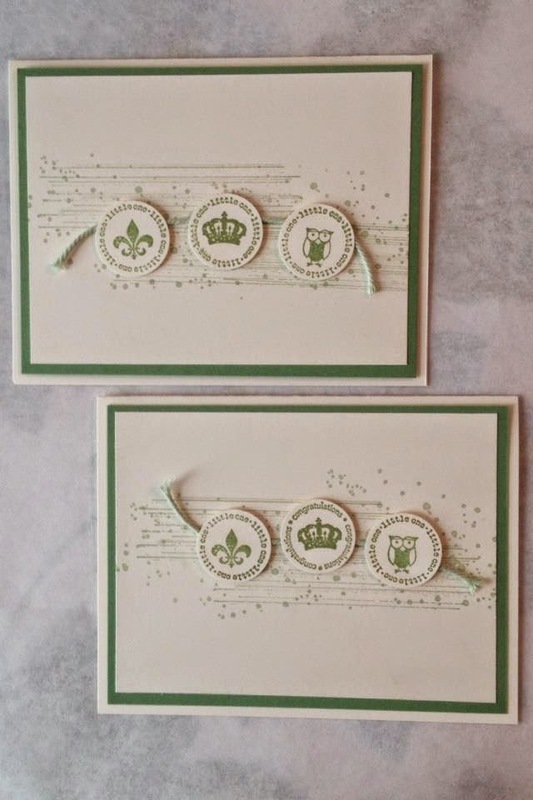 I tried to use images that went with the type of card, but used the sweet crown for all of them. Every baby is a sweet prince or princess, right?? This the basic layout. I used Gorgeous Grunge with a kind of mono-chromatic color scheme. Blushing Bride with Pink Pirouette for the background ink. Below you can see where I experimented with the Pink in the center image, but I decided I needed the darker accent. The neutral card uses Wild Wasabi and Pistachio Pudding. 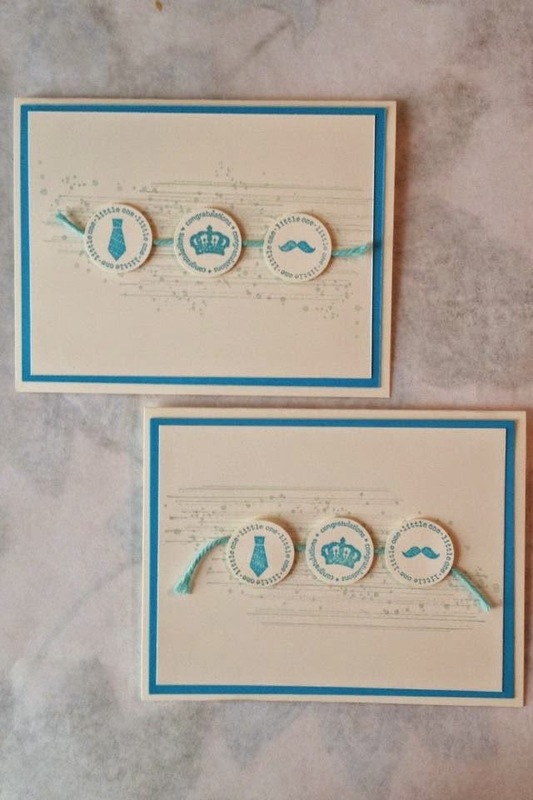 For the boys I used Tempting Turquoise with Soft Sky background ink. The base is Very Vanilla for all. 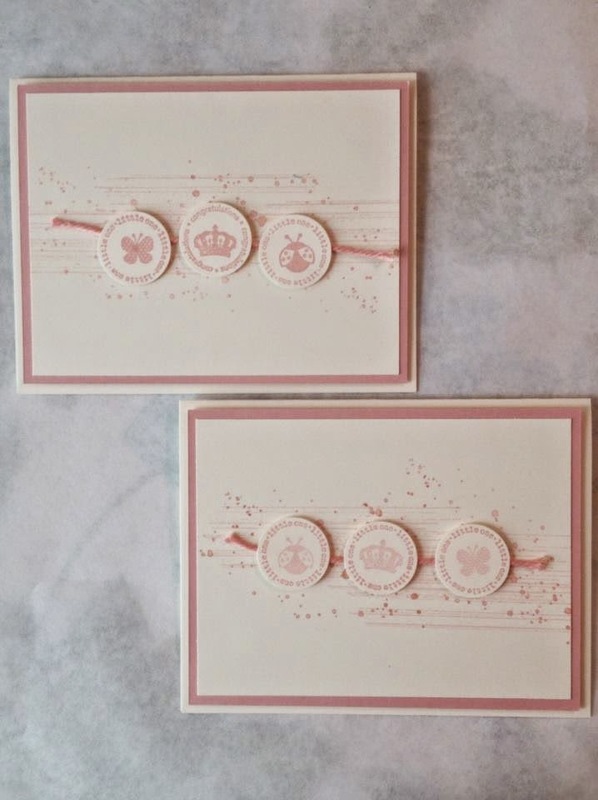 The Thick Bakers Twine on all the cards is from the In Colors pallet, but matches well on the Vanilla background with the lighter ink and the popped up darker ink circles.